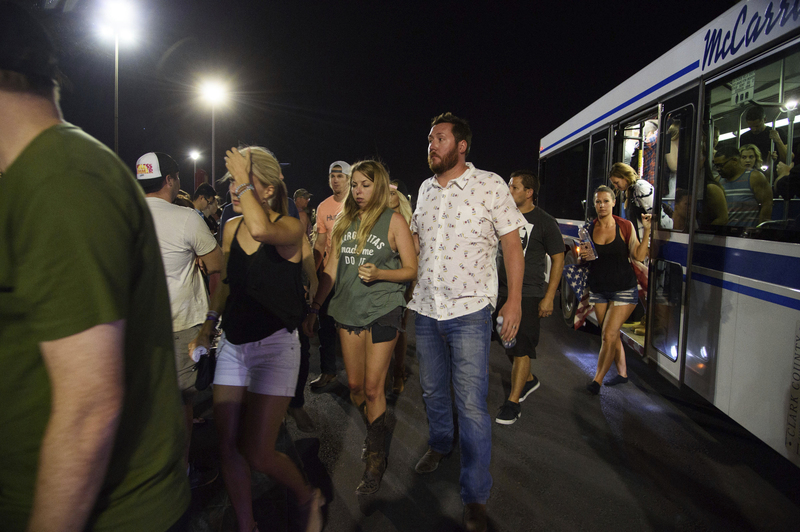 ST. GEORGE — Country music fan Julie Hart was enjoying her third and final night at the “Route 91 Harvest Festival” in Las Vegas Sunday night, not knowing that the night would end in the deadliest mass shooting in modern U.S. history as the concert venue became like a war zone. Hart, who had traveled from Anaheim Hills, California, was at the concert with her boyfriend, Mark Gay, when they heard the initial gunfire. As concertgoers, some 22,000 people, began realizing that the crowd was being riddled with bullets, panic set in and the music stopped, giving way to screams of pain and terror. 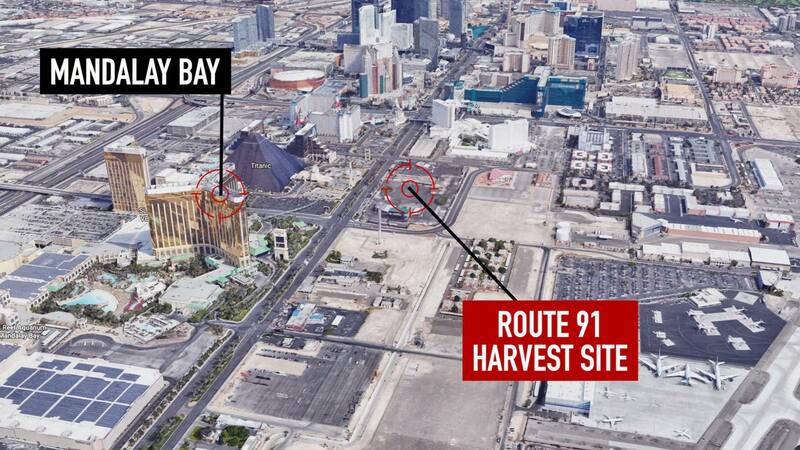 That is when Hart said she grabbed her boyfriend’s hand and told him to run, not knowing that the bullets were coming from a gunman who had positioned himself in a two-bedroom suite on the 32nd floor of the Mandalay Bay Resort and Casino where he was firing shots from a quarter-mile away. With a rush of adrenaline combined with the sound of ricocheting bullets, Hart said it sounded as though shooters were coming up behind them. As concertgoers continued running, literally, for their lives, they had a series of fences keeping them somewhat contained. “My boyfriend and a few other folks were trying to push down the fencing and some of the crowd was trying to climb over, you know, others couldn’t climb over,” Hart said, noting that, at this point, there was a group of approximately 20 to 50 people fleeing in the same direction. When the panicked group came upon a fence on the west side of McCarran International Airport, Hart said an individual in the area tied a rope to a Ford F-350 truck and broke the airport fencing loose for them to get through. We got to the other side of the airport across the taxi ways over by some of the planes on the ground. Flights in and out of the McCarran International Airport in Las Vegas were temporarily halted. Hart said the group was bused and dropped off in a parking lot on the other side of the airport where many people hunkered down behind walls in fear, unaware if there was still an active shooter. The couple booked an Uber ride to Henderson where they stayed until they could gather their belongings the next day from their room at the Delano in the Mandalay Bay Resort complex. “Feeling very thankful and grateful that we’re here,” Hart said Monday morning, not yet knowing the full gravity of the situation. The Las Vegas gunman would leave at least 59 people dead and more than 527 injured – some by gunfire, some during the chaotic escape – before turning a gun on himself. 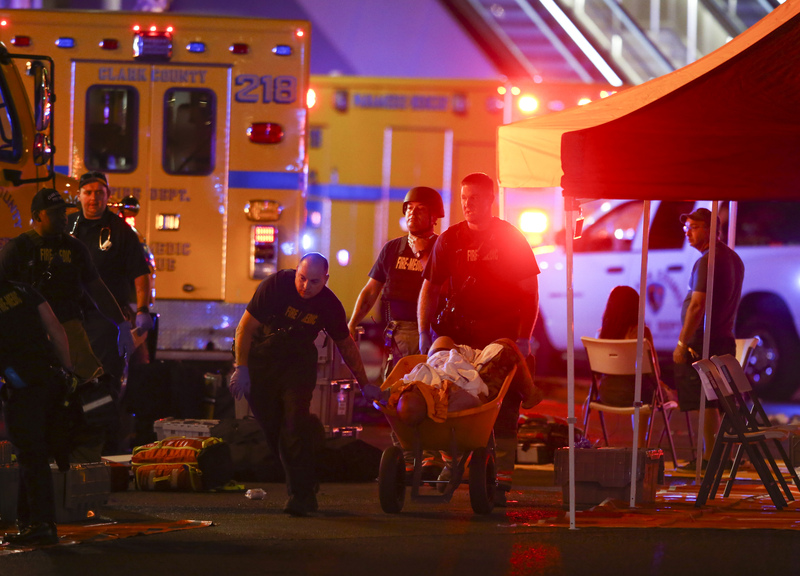 As least three people from Utah were killed as a result of the gunfire.